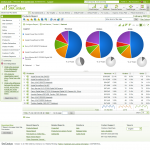 Top Web Analytics Tools - "Coffee Break Marketing" The Top Tools for Marketing Your Services! If you’re not measuring how well your online marketing campaign is performing, you’re just guessing when it comes to knowing what’s working and what’s not. Thankfully, there’s some great web analytics tools out there that can tell you exactly how well you’re doing provided that you’ve got them configured properly. Please note that we are not affiliated with any of these vendors. These are some tools that we like or were recommended by our partners and members. We believe this is a pretty useful selection of tools, but we’re not necessarily endorsing them as the best solutions for your business. Your mileage may vary, and it’s worth taking a good look at what each tool can do and whether it’s likely to actually help you meet your particular goals. 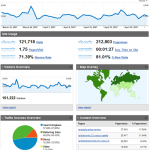 Clicky Web Analytics lets you monitor, analyze, and react to your blog or web site’s traffic in real time. Omniture is an online marketing and web analytics business unit owned by Adobe Systems. The Omniture product suite provides an integrated set of services including advanced web analytics and segmentation (SiteCatalyst, Discover and Data Warehouse). 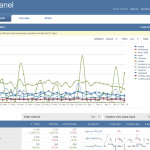 Mixpanel is a real-time analytics service that can help you understand how people interact with your web application. 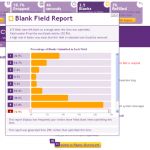 Discover which fields take too long to fill, are most frequently left blank, and cause your visitors to leave.